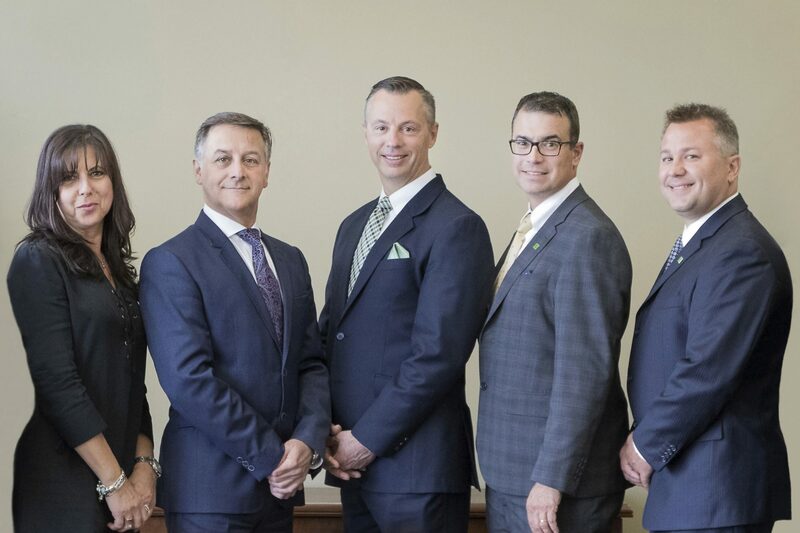 360 Family Office Wealth Management is a part of TD Wealth Private Investment Advice, a division of TD Waterhouse Canada Inc. which is a subsidiary of The Toronto-Dominion Bank. After 26 years as a successful entrepreneur and business owner in the automotive industry, Vito has been excelling in the investments industry since 2010. He believes his well-earned reputation for hard work, integrity and putting his client’s needs first is reflected in his every day approach to business. As an accomplished business owner, Vito can relate first-hand to the daily challenges faced by entrepreneurs regardless of industry. This helps him tailor their investment plans across all stages of life to mitigate against the unexpected and ensure that his clients get where they want to go - whether it’s in five years or fifty. Qualified to provide his clients with complete investment solutions, Vito is fully licensed to trade in equities and bonds - from ETF’s and mutual funds to options and futures - and he holds the following designation: Certified Investment Management Analystor CIM. Vito co-founded 360 Family Office Wealth Management based on his belief that high-quality wealth management expertise should be available to all investors and that young families, professionals and retirees should benefit from wealth advisory solutions tailored to their needs instead of having to accommodate their advisors’ preferred way of providing service. Married for over 30 years, Vito is a father of two adult children who both attend university. Active in volunteering and coaching sports, Vito enjoys, golf and automotive racing as well as being a handyman around the home. Serving clients in Montreal, Ottawa and Toronto areas for more than two decades, Mark is a Financial Security Advisor with TD Wealth Insurance Services and holds the following designations: Personal Financial Planner (PFP) and Chartered Investment Manager (CIM®) and also holds a Bachelor of Business Administration (BBA (Hons). Am I okay to retire? Am I okay to put my children through university? Am I okay to leave a financial safety net for my family? Am I okay to leave a legacy for the community? Questions like these become the foundation of your relationship with your advisor and they guide how Mark and 360 Family Office Wealth Management will serve you. While the financial industry often leads clients to focus only on their rate of return as a marker of success, Mark’s broader role as your investment advisor is to assist you in defining your own version of “okay”. He then helps you to achieve it with proper planning, tools and the firm’s resources. Whether providing financial advice or simply an opinion, Mark believes in being straightforward with his clients who he feels appreciate his “cut to the chase” approach and ability to ensure that their goals and decisions are to ensure that their goals and decisions are realistic. Nelson Vallacorba is an Associate Investment Advisor, TD Wealth, Private Investment Advice. He has been in the industry for 21 years. Before becoming an advisor, Nelson was Director, Eastern Canada for TD Asset Management. Nelson has a passion for the investment industry and the clients that he works with. He is often recognized by his clients for his hard work and structured process. He works primarily with professionals and both pre-retirees and retired individuals. Finally, Nelson works with his clients to prepare customized wealth programs that address what most to his clients and their families with an emphasis on reducing risk in all its aspects. Nelson is also qualified to provide his clients with complete investment solutions and holds the designation of Chartered Investment Manager. Married for over 20 years, Nelson is a father of 2 children and speaks four languages. He often volunteers to promote financial literacy among students and the elderly. With more than 30 years of financial industry experience, Angie’s career spans progressive roles in areas that include customer service leadership, investments, commercial business, international foreign exchange, credit, training and development. Registered as an Investment Representative with IIROC (Investment Industry Rules and Regulations), Angie’s well-rounded expertise, professionalism and consistent client-focus enables her to expertly quarterback client's queries and communications. 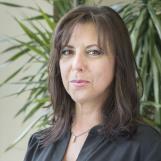 Angie manages the daily administration of accounts, including fixed income maturities and incoming/outgoing assets. Married for over 30 years, Angie is passionate about healthy living, enjoys cooking and entertaining to family and friends, and devotes her personal time to her husband and two children in university. Brad has over 20 years of financial industry experience and expertise in areas that include wealth management, back office operations and customer service. 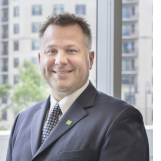 As an Associate Investment Advisor at TD Wealth since 2012, Brad plays a key role in portfolio management, establishing wealth plans and managing daily client service. Having successfully completed the Canadian Securities and Conduct and Practices courses and obtained his Registered Representative license, Brad executes orders in equity, fixed income, ETF and mutual fund investments. A graduate of Bishop University, Brad is a devoted husband and father who spends most of his personal time coaching his three boys in hockey. With a passion for golf imparted by his father who played professionally, Brad also enjoys tennis, poker and travelling.